Looking for the Owl Channel Blog? Click below please for the new location ! 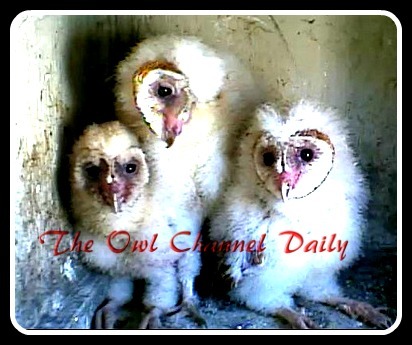 : The Owl Channel blog is now the Owl Channel Daily! Looking for the Owl Channel Blog? Click below please for the new location ! 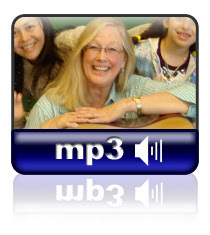 CLICK HERE FOR THE NEW OWL CHANNEL BLOG SITE ! 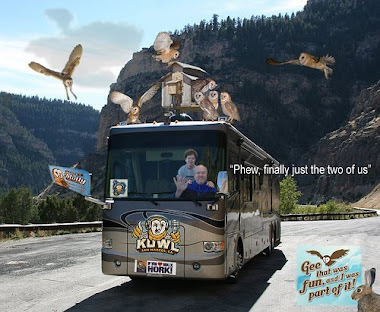 Click HERE for the NEW location of the blog: The Owl Channel Daily! 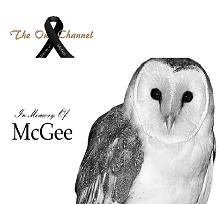 DONATIONS to keep the Owl Channel running are very welcome! We thank you! The Owl Channel blog is now the Owl Channel Daily! Please bookmark the new site! The Old Blog archives are still available above at the Archive button! Discover 12 fascinating facts about the beautiful barn owl. 1 The barn owl was voted Britain’s favourite farmland bird by the public in an RSPB poll in July 2007. 2 Historically, the barn owl was Britain’s most common owl species, but today only one farm in about 75 can boast a barn owl nest. 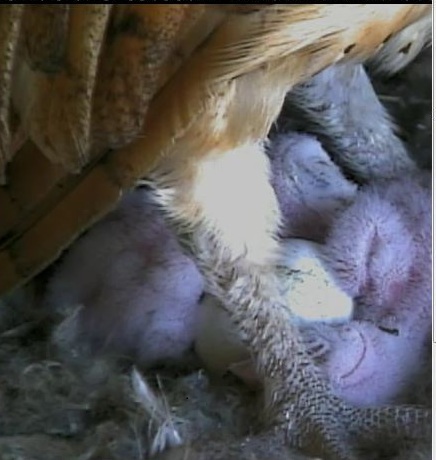 3 Barn owls screech, not hoot (that’s tawny owls). 4 The barn owl can fly almost silently. This enables it to hear the slightest sounds made by its rodent prey hidden in deep vegetation while it’s flying up to three metres overhead. 5 The barn owl’s heart-shaped face collects sound in the same way as human ears. Its hearing is the most sensitive of any creature tested. 6 Barn owls are non-territorial. Adults live in overlapping home ranges, each one covering approximately 5,000 hectares. That’s a staggering 12,500 acres or 7,100 football pitches! 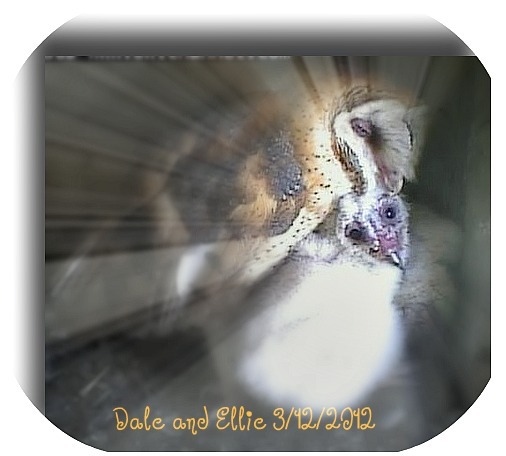 7 It’s not uncommon for barn owl chicks in the nest to feed each other. 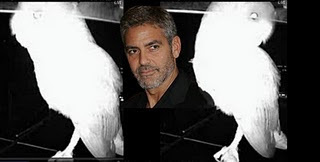 This behaviour is incredibly rare in birds. 8 In order to live and breed, a pair of barn owls needs to eat around 5,000 prey items a year. These are mainly field voles, wood mice, and common shrews. 9 Though barn owls are capable of producing three broods of five to seven young each year, most breed only once and produce, on average, only two and a half young. 29 per cent of nests produce no young at all. 10 91 per cent of barn owls post-mortemed were found to contain rat poison. Some owls die as a direct result of consuming rodenticides, but most contain sub-lethal doses. The effects of this remain unknown. 11 In a typical year, around 3,000 juvenile barn owls are killed on Britain’s motorways, dual carriageways and other trunk roads. That’s about a third of all the young that fledge. EmmieJans Photoshop and Screenshot Photos! Hitching Post for Fledging OwlCamguy added March 22! 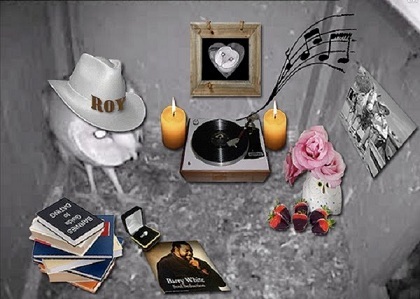 Click here for our Frequently Asked Questions (FAQ) page..
Roy Rogers spices up the Hideout by Coach30! Carlos and Donna say Gee That Was Fun ! 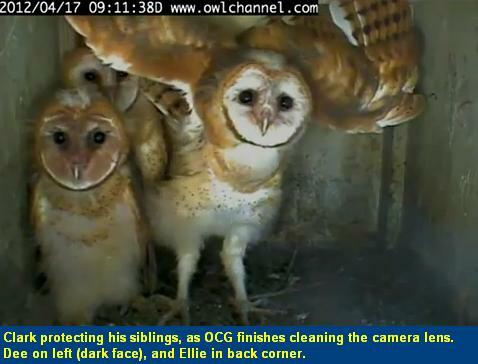 This is a live feed of a Wild Barn Owl and family. Owls are carnivores. 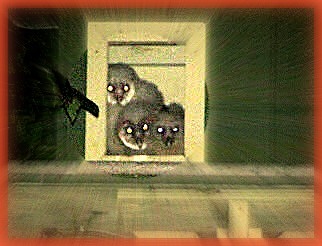 They hunt, kill and consume small rodents and other small animals. This is nature and contains scenes of the cycle of life which may occur at any time without warning. 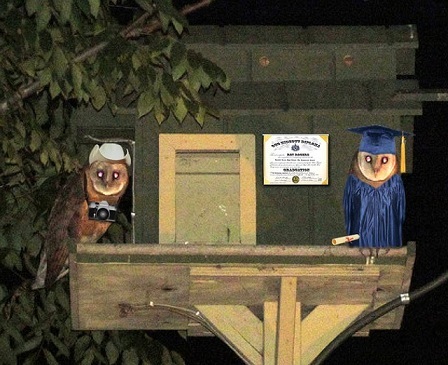 Our Host OwlCamGuy's policy is not to interfere with the owls. He will turn on the mister when it is too hot. Otherwise, Nature will take its course. If this is too challenging to view, another site may be a better choice for you. Thank you from The Owl Channel! This Blog is Dedicated to BarlyCorn's Music and Magic.. Theme images by i-bob. Powered by Blogger.